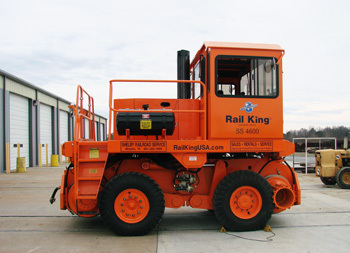 Contact Shelby Railroad Service, Inc.
for your Rail King Sales, Rentals, Parts and Service. Rail King Sales, Shelby Railroad Service, Inc. has the knowledge and the experience for you and your company to meet needs / requirements. Call today and we’ll be happy to answer your questions or assist you on your purchase.